Pickup from Delhi Railway Station/Airport, drive to Nainital. Check in Hotel. Evening free for boat ride at Naini Lake (At their own). Dinner at Hotel. O/N/S. After breakfast drive for lake tour of Bhim Tal, Sat Tal, Naukuchia Tal. Drive back to Hotel, Dinner at Hotel. O/N/S. After breakfast, drive to Kausani via Almora. Kausani is ideal for those who seek to escape from the din and dust, hustle and bustle of big cities and wish to spend a quiet holiday in the lap of nature. Check in Hotel. After fresh up visit Sun set at View Point, Gandhi Ji Ashram. Dinner at Hotel. O/N/S. Day at Leisure or visit local sight seeing i.e. Baijnath & Bageshwar. Dinner at Hotel. O/N/S. After breakfast, drive from Kasauni to Corbett National Park enroute visiting Ranikhet.Sightseeing of places in and around Ranikhet like Hairakhan Temple, Chaubatia and Bhaludam etc. later drive to Corbett National Park. Dinner at Hotel. O/N/S. After early breakfast, Visit Corbett National Park. 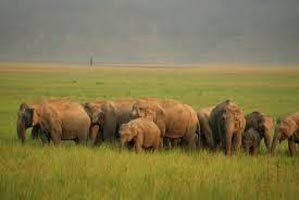 Located in the foothills of the Himalayas is the majestic Corbett National Park . 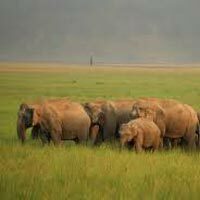 Home to a variety of flora and fauna, it is famous for its wild population of Tigers, Leopards and Elephants drive back to Delhi. On Arr. Delhi, transfer to Railway Station / Airport.